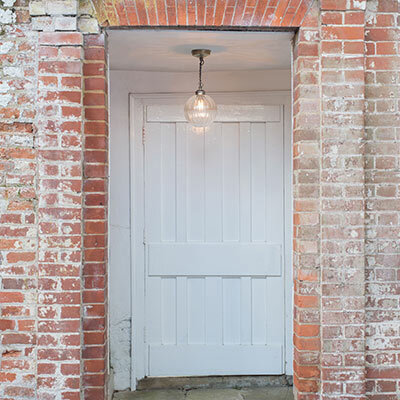 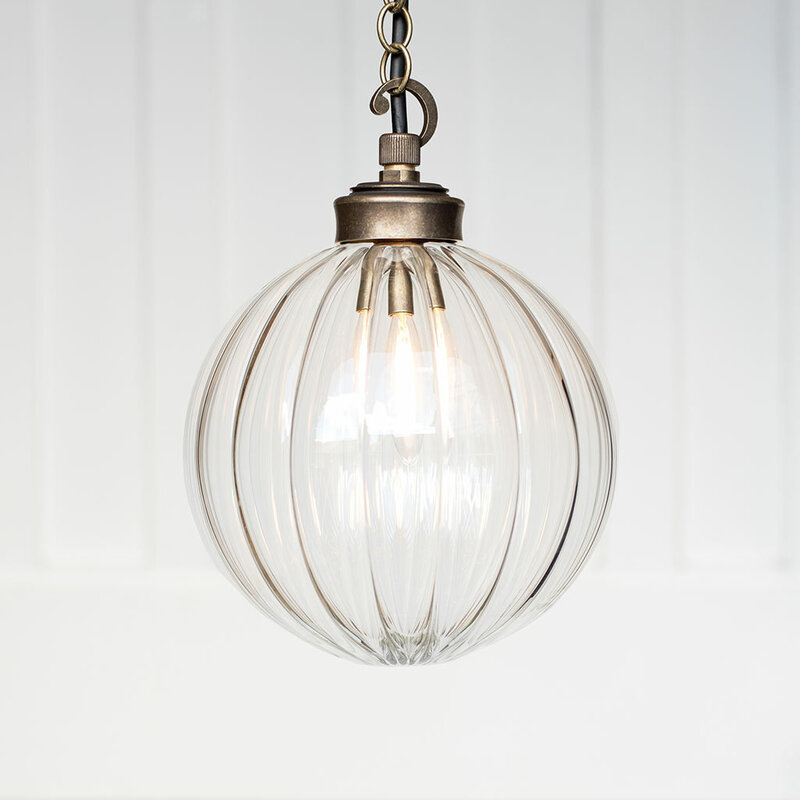 Give your visitors the most stylish of welcomes with this latest version of one our popular glass pendant light designs - this newly developed Outdoor Fulbourn Porch Light - the perfect way to add timeless style to the exterior of any home. 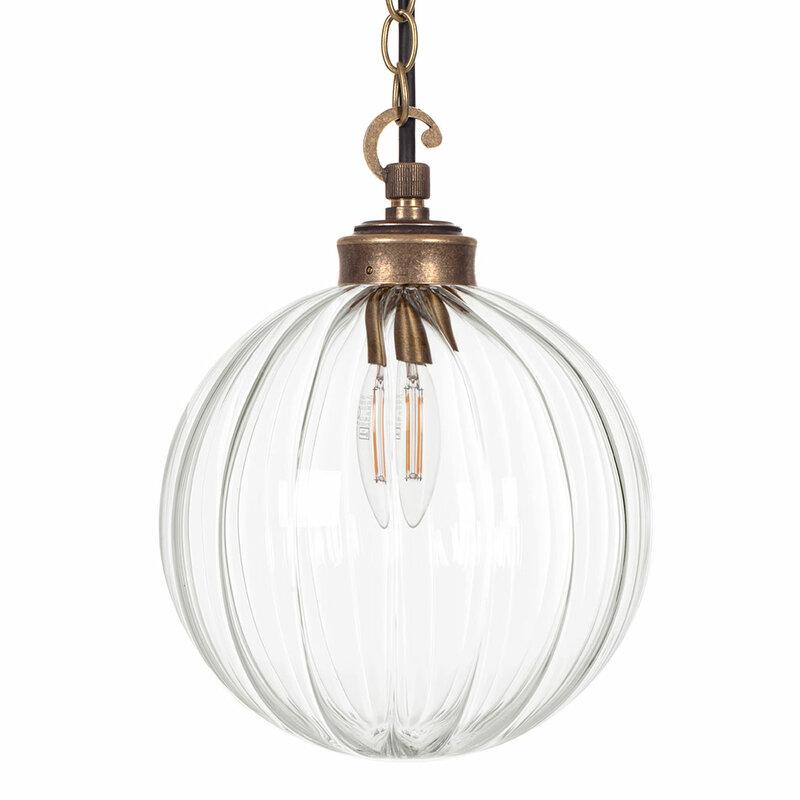 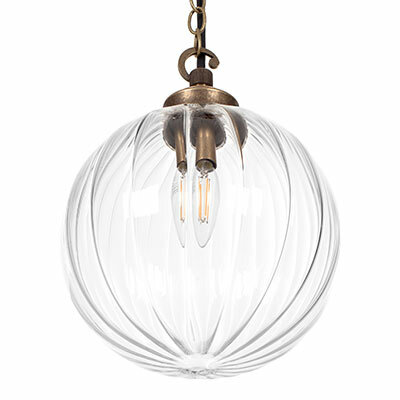 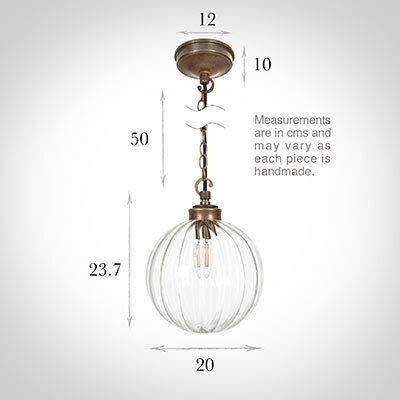 The individually hand made, fluted glass shade, works elegantly with the antiqued brass fitting. 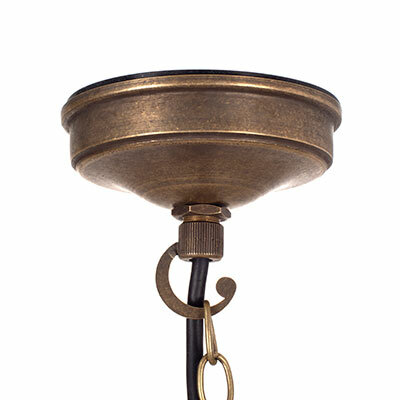 This light has been rated IP44; We have developed a specific waterproof ceiling rose and new sealed pendant design for this product to make it as weather proof as possible. With 50cm of chain and cable this outdoor light can be easily adjusted to fit any porch setting to create the perfect entrance to your home. 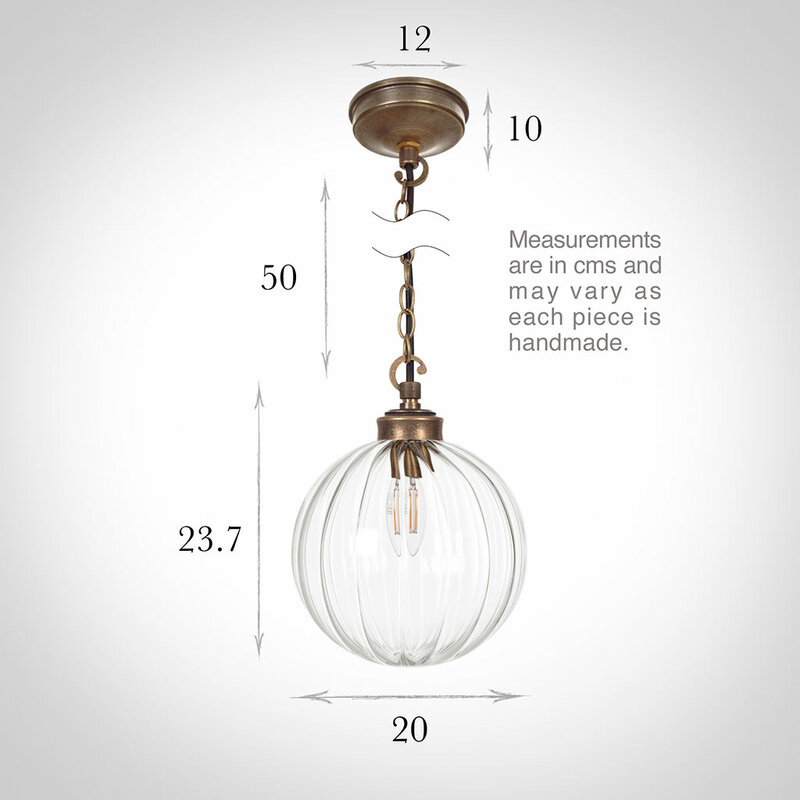 Additional Information: supplied with 50cm of cable, chain and ceiling fixing.